FLV file format, or Flash Video, is one of the most commonly used video formats on the internet, and it is the preferred format of choice for websites like Youtube, DailyMotion, etc. And most smartphones are able to easily play FLV videos online, but considering the mobile traffic it consumes, converting FLV to 3GP format that most modern smartphones utilize would be the best solution. Since 3GP it is a fairly unknown format to most people, a good file converting program is essential if you want to view or work with them in a much easier way. This article will go over the best FLV to 3GP conversion programs, all 5 of which are listed below. 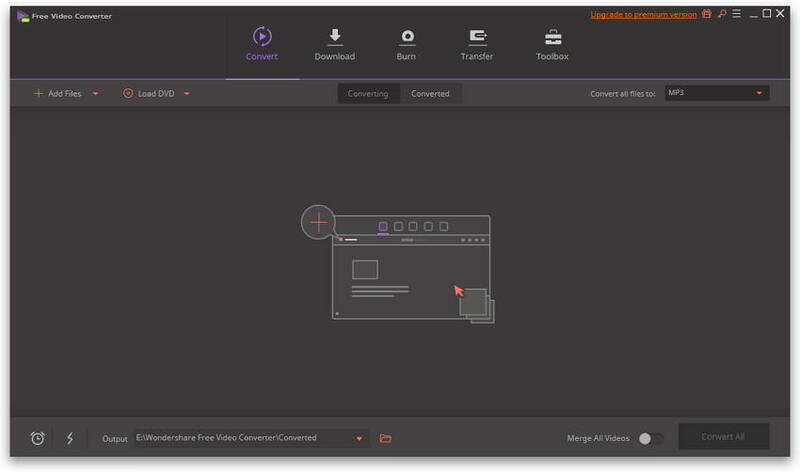 Available for both Windows and Mac computers, Wondershare Free Video Converter is less a simple video conversion program and more a complete video editing suite. In addition to converting FLV formatted videos to 3GP, as well as many other formats, the program contains video editing and DVD burning functionality to allow users to edit and create their own custom DVDs. It can connect to video-capture devices, such as camcorders and smartphones, and record video onto your computer in real-time. Users can utilize the program to capture and download videos online and convert them to the needed format. Its distinguish advantages are as follows for your information. Convert FLV to a vast range of HD and SD video formats: common HD video format like HD TS, HD MPG, HD WMV, HD MP4, HD MKV, etc; popular SD videos like AVI, MP4, MOV, WMV, MKV, MPG, MPEG, H.264 and more. Extract audio files from videos like FLV and save them as MP3, WMA, M4A, WAV, APE, FLAC, AAC, AC3, MKA, OGG, AIFF, RA, RAM, MPA. iSquint is a program exclusively for converting video files for use on iPods, iPhones, and all other Apple mobile devices. It is very easy to use and follows the same streamlined design as iTunes. It is comparable to QuickTime Pro and carries much of the same functionality, but is completely free and much lighter and more streamlined. 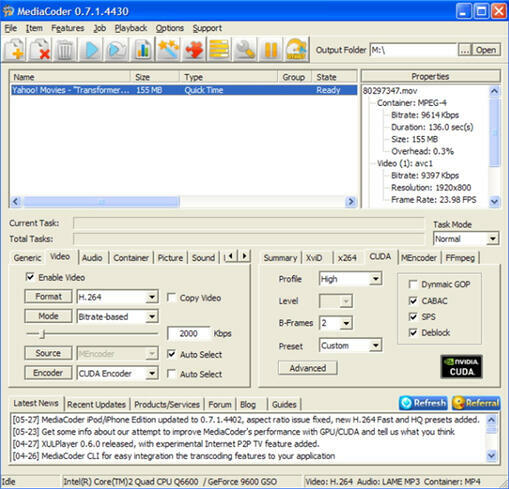 MediaCoder is another full video conversion, editing, and playback suite. The program can be used to rip DVDs, CDs, and many other formats of physical media, and it is able to convert those video files into nearly every file format in existence. It includes a rich video editing program, allowing users to customize, enhance, and edit their video files extensively. Due to the vast functionality, MediaCoder is one of the toughest to fully grasp, but it is well worth the investment. DVDVideoSoft Free Studio offers users a greater amount of choice than any of the other entries on this list. Each individual component is available for downloading alone, or all of them can be downloaded in one single suite. If a user only wishes to download Youtube videos, they may only download an individual segment, but if they wish to download Youtube videos and then convert those files from FLV to 3GP or any other format, they may download the entire suite to do so. The DVDVideoSoft Free Studio is exceptionally easy to use and walks users through each step clearly. The simplest entry on this list by far, Zamzar works exclusively online and does not require any downloaded program whatsoever. Users simply select the file on their computer they need converted, select the output file format they want it converted into, enter their email address, and click Convert. All the actual work occurs on the Zamzar servers, and users will receive an email containing a link to download their newly converted file upon conpletion. All files under 100MB can be converted completely for free, however users will need to upgrade to a paid account to convert files larger than that. The above listings vary in both functionality and ease of use, and the only way to truly discover which is best for your purposes is to try them out!